Trees can have a profound effect on your landscape, adding visual impact, shade, and value. If you live in the Austin,Texas. area, you may have wondered when is the best time to prune trees? 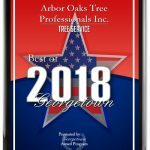 To keep your trees looking their best, especially when it comes to trimming oak trees, which are ever-present in our region, you need quality tree service at the right time. 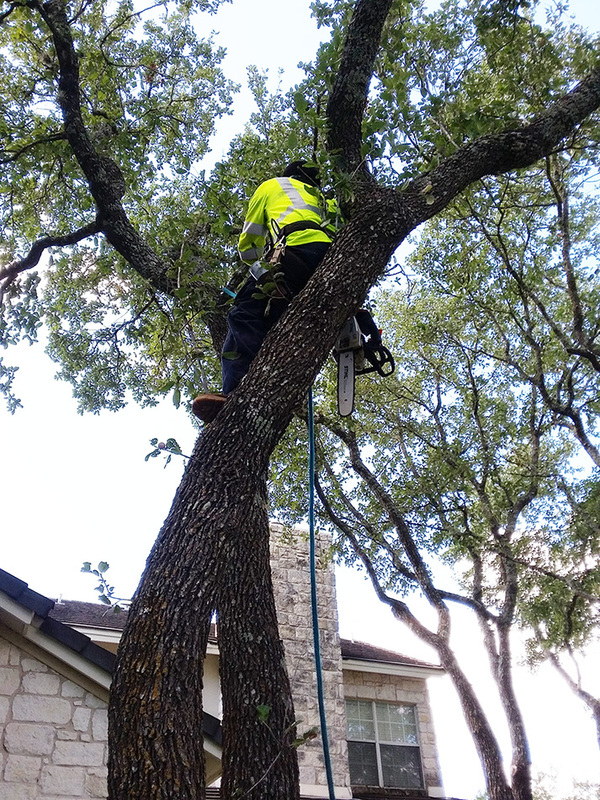 Austin boasts some seriously beautiful trees, but ensuring they’re well-maintained is the only way to keep them that way. 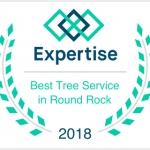 Because each tree type and variety has its own trimming schedule and requirements, it’s best to work with a quality tree service company to get it done right. Generally speaking, the best time to prune trees is when the trees are still dormant from January through early March. This is especially true for one of Texas’ most beloved trees, the crape myrtle, which you should trim before new growth begins sprouting. Trimming trees correctly takes practice, and often, the experienced skill of an expert. If you attempt to do it yourself, remember that trees can’t heal from their wounds – trees can only seal them. Avoid making your tree a target for disease and pests by cutting the tree’s branch collar. Have you heard about oak wilt? This deadly fungus is carried to our beautiful red and live oaks when wilt-infected beetles enter open wounds in a tree. Trimming oak trees correctly can prevent this. And considering that Central Texas has lost over 10,000 oaks in the past 20 years because of it, trimming trees correctly is imperative. Prune Oaks in Colder Months – Avoid spring trimming, especially since this is when oak wilt thrives. Unless your oaks are dealing with damage, it’s best to prune them in the cooler months. Paint if Necessary – If your oak has any open wounds, use some wound dressing or cover it with latex paint. Keep it Clean – Quality tree service demands cleanliness. Clean trimming tools with a light bleach solution between trees. Do you know if your trees have oak wilt? Are you experienced with trimming oak trees or crape myrtles? Maybe not. Hiring a quality tree service professional will not only get the job done correctly, but you’re guaranteed safety. What’s more, they know the ins and outs of trimming trees correctly. From removing weak, dead, storm-damaged, diseased or interfering branches, to clearing ball moss, mistletoe and vines, arborists can provide directional growth patterns for new trees, minimizing the risk of storm damage, and provide clearance for streets, sidewalks, driveways, and overhead lines. What more could you want!